The only rule was the caramel dessert could not contain chocolate and the chocolate dessert must be free of caramel. Already, as a representative for caramel, I felt like I had successfully put myself at a disadvantage. Caramel always tastes best when with chocolate but chocolate can stand on its own. My colleague chose a worthy foe in a rich Mississippi Mudslide brownie. Me? I went with Caramel Tassies. 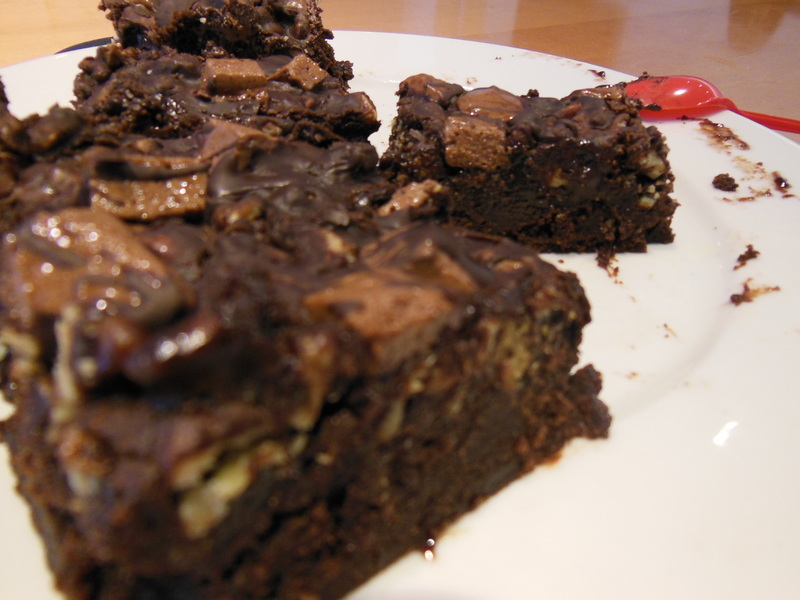 Now that you’ve voted, check out the recipe for the dessert that won in the office. 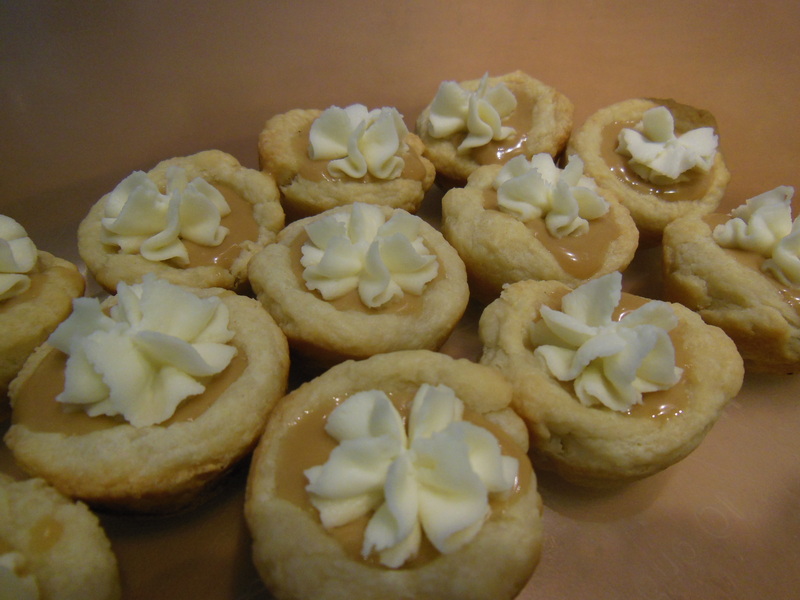 My version of Caramel Tassies is actually an amalgam of different recipes. I’ve made this only once prior to this challenge and I believe each time has come out differently. That’s the fun of baking! Cream butter and cream cheese together. Add in flour until well combined. Roll 1-inch balls of the dough and press into mini cupcake tins, making sure it fills the sides making a cup. Poke bottoms with fork and then bake in 350°F for 15-17 minutes. There’s a chance it might puff a bit. No worries, just gently press the sides with a spoon to reform your perfect little cup. Cool completely. Melt down caramels with coconut milk. Whisk together as it cooks. Remove from heat. If mixture is too liquidy, panic and then add some whipping cream and then whisk like mad. Let that mixture cool and that pipe into prepared pastry shells. ½ cup heavy cream + 2 tbsp. Beat the mascarpone cheese and sugar together using the whisk attachment. Add the heavy cream and beat until stiff. Fit a piping bag with a large star tip and fill the bag with the filling. Pipe on to the tops of each tassie and enjoy! You will have a lot left over… better start looking for that other recipe you can put this stuff on/in.